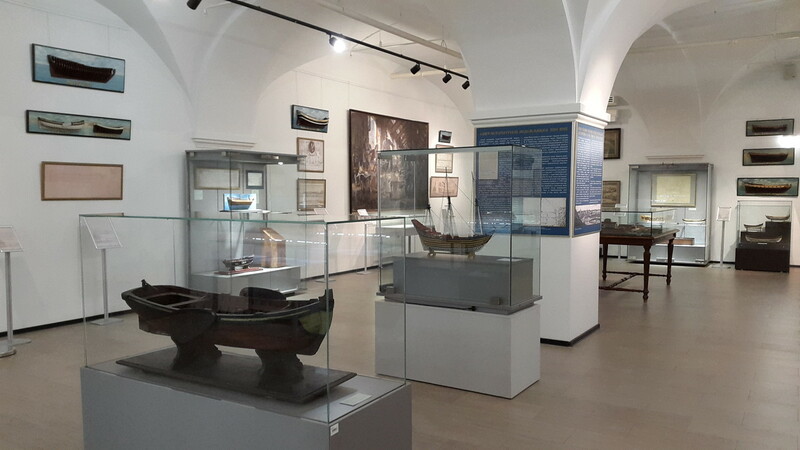 2019 marks 310 years since the Foundation of the collection of the Central Naval Museum (CNM) — one of the largest and oldest Maritime museums in the world. 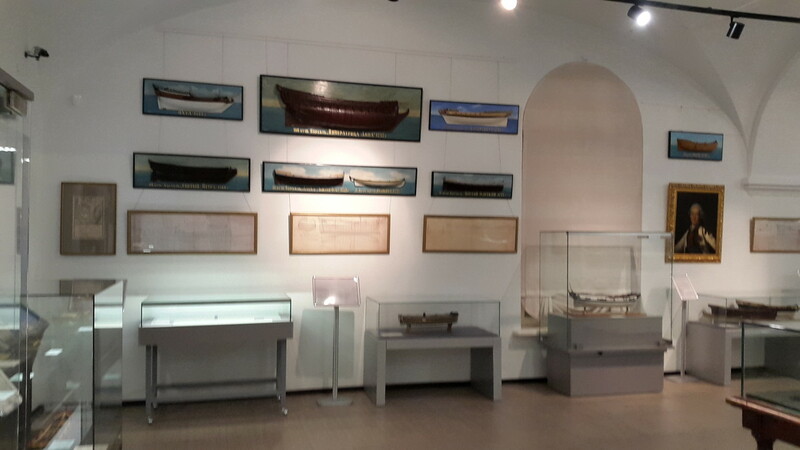 The history of the Museum has long been an integral part of the history of the national fleet. 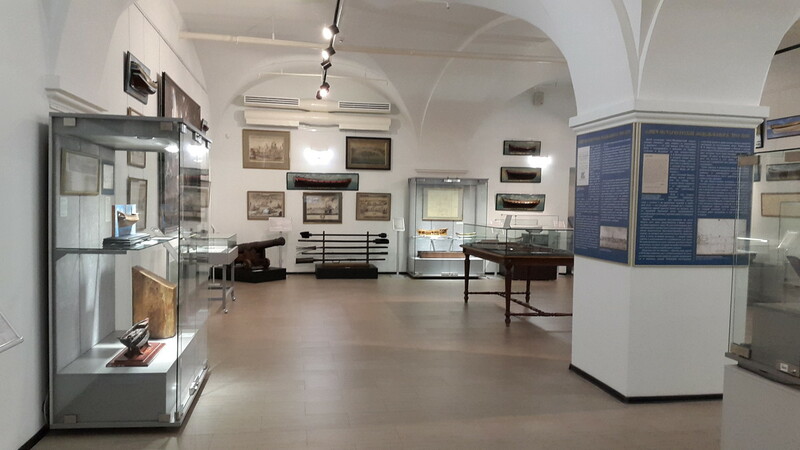 The Central Naval Museum began with the St. Petersburg model-Kammer, first mentioned in the letter of Peter 24 (old style — 13) January 1709, the Model chamber was located in the Main Admiralty, which built the ships of the Baltic fleet. 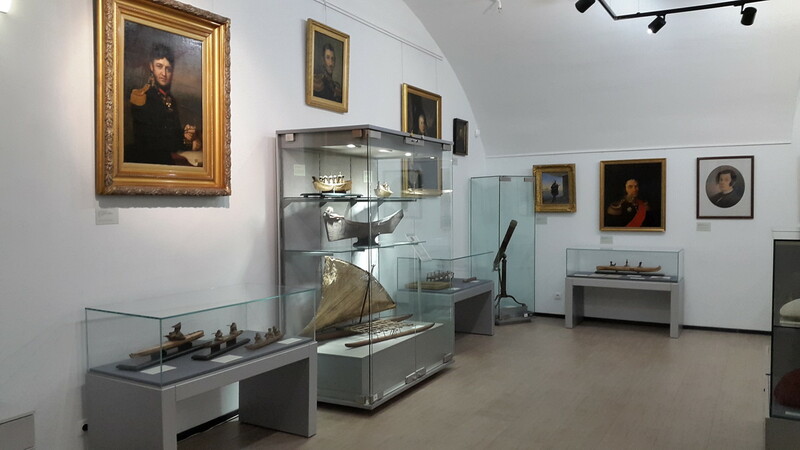 In 1805, the "Maritime Museum" was created, the basis of which was the collection of Model cameras. 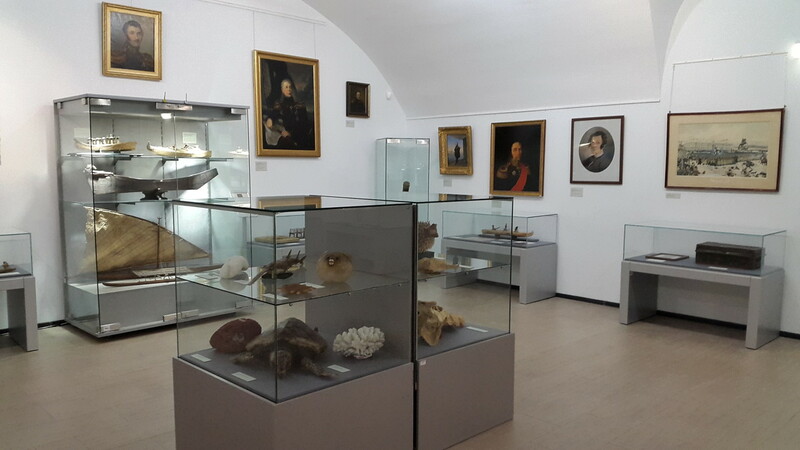 Despite the fact that 1827-1867 the years, the Museum was once again transformed into the Model chamber, his collection continued to grow. 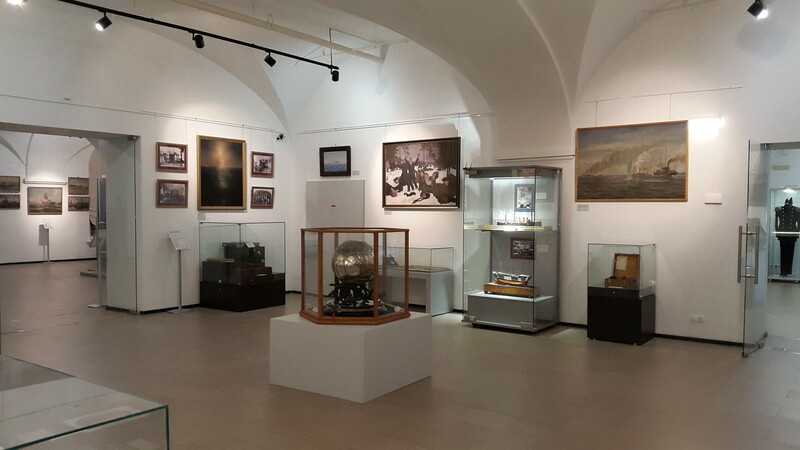 In 1867, the Model camera became a public Maritime Museum, which by the end of the XIX century became a significant Russian cultural and scientific center, became famous all over the world. In 1909, during the celebration of the 200th anniversary of the Museum, he was named after the founder — Emperor Peter the Great. 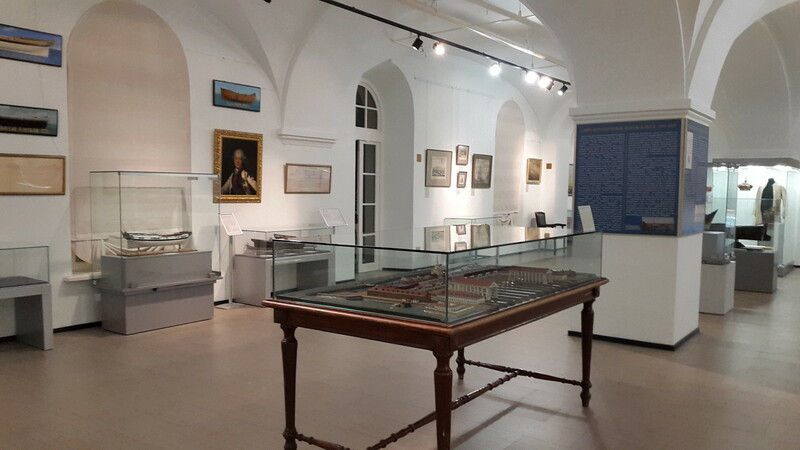 Having changed a number of names, in 1924 it became the Central Naval Museum. In 1939, CNM was transferred to one of the most beautiful buildings in Leningrad — the stock Exchange building. 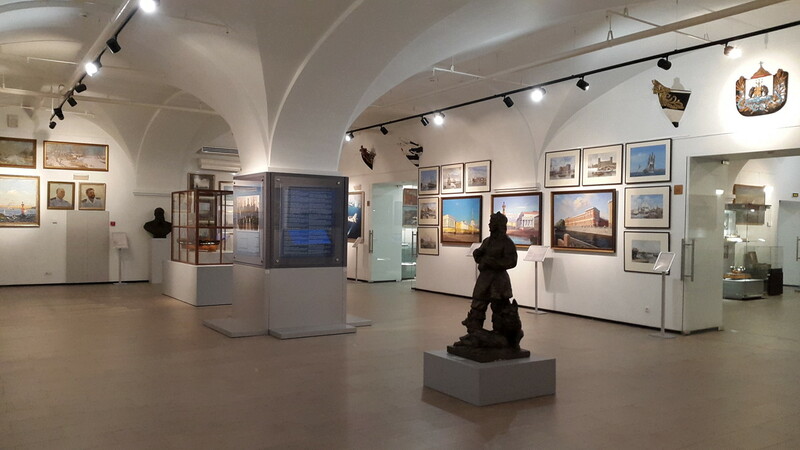 In February 1941 the exposition was opened in new halls, but four months later the Great Patriotic war began. 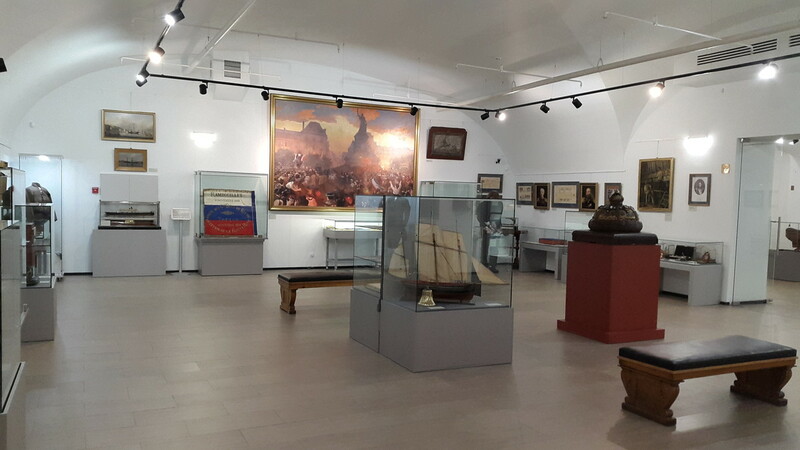 The most valuable exhibits were evacuated to Ulyanovsk. 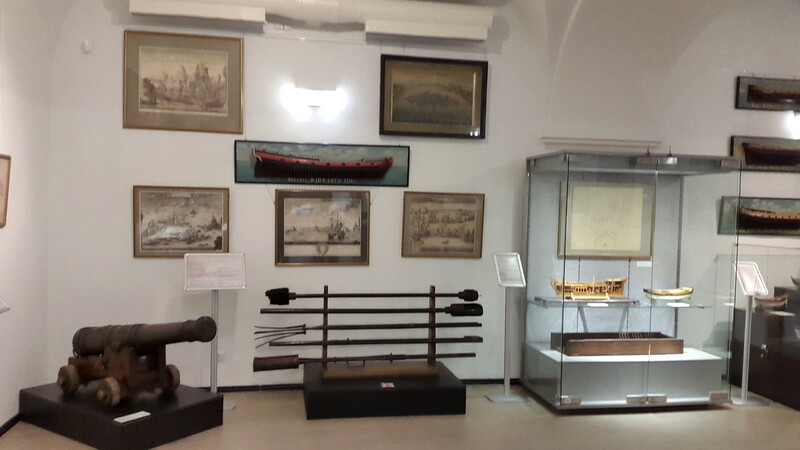 During the war, work continued on the collection of Museum objects, including at the battlefields, exhibitions were held. 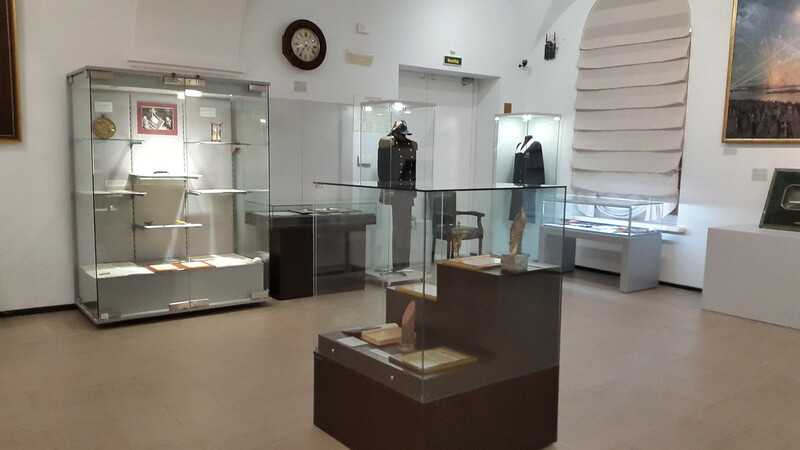 In 1946, the Museum returned from evacuation and reopened its doors to visitors. 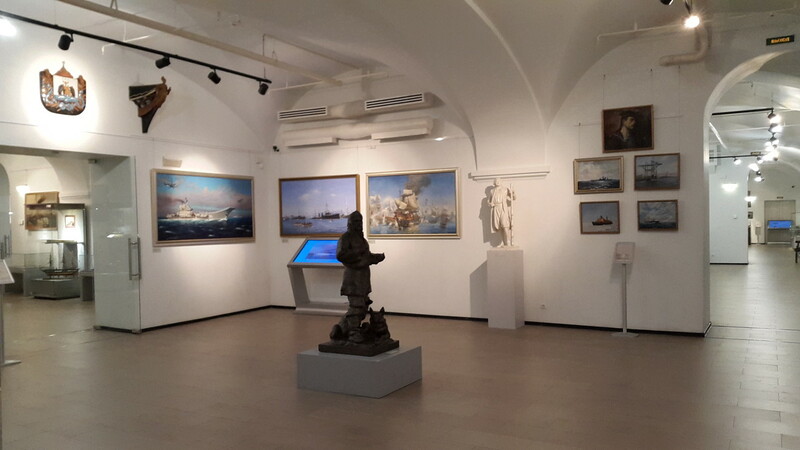 The work to promote the history of the fleet was highly appreciated — in 1975, the Central Naval Museum was awarded the order of the red star By the decree of the Presidium of the Supreme Soviet of the USSR. 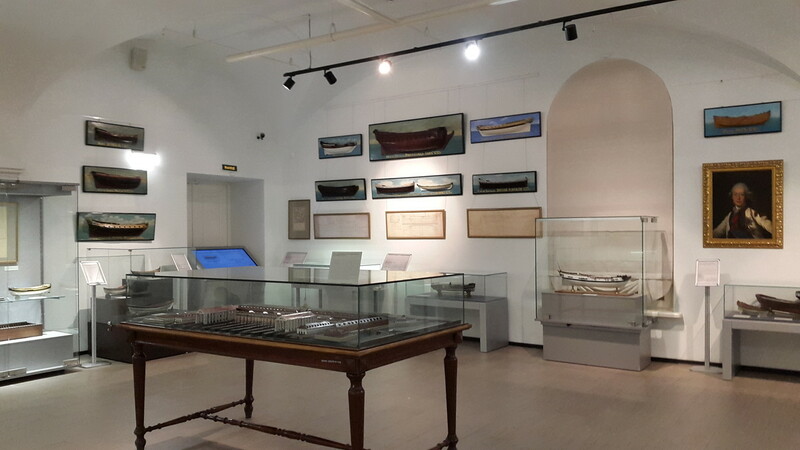 For more than three centuries of its existence, the Central naval Museum has become the largest repository of relics of the domestic fleet. 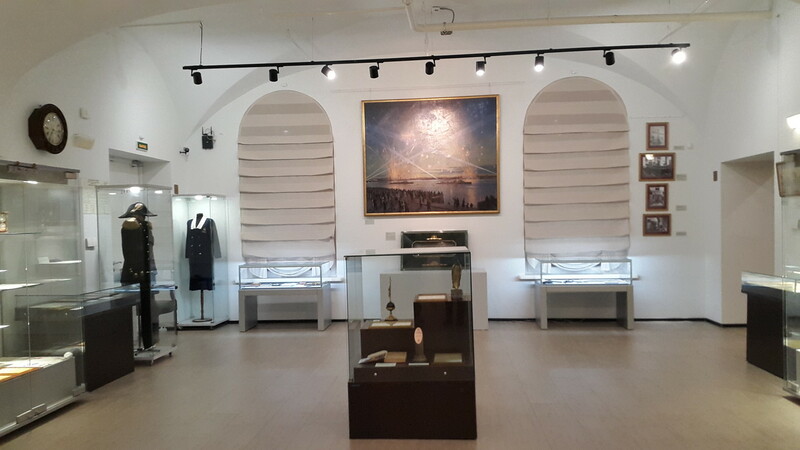 The Museum collection includes more than 720 thousand items. In 2006, it was decided to move CNM to a new building, almost three times larger in area than the exchange building. 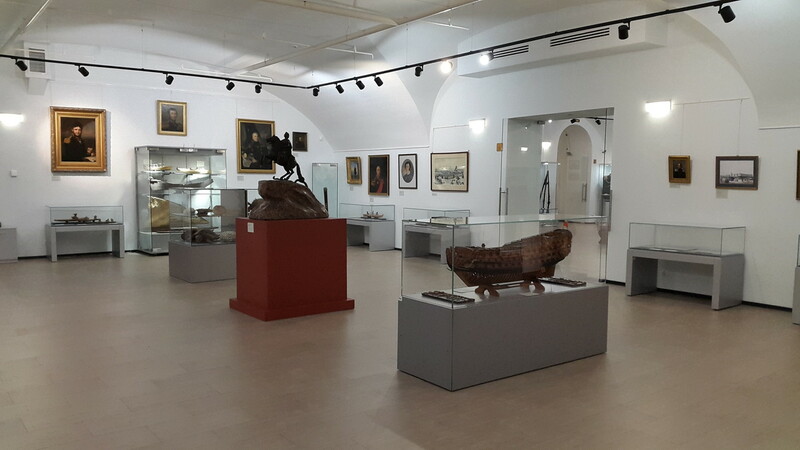 In 2013, the transfer of the state collection to the renovated Kryukov (Marine) barracks complex was completed. 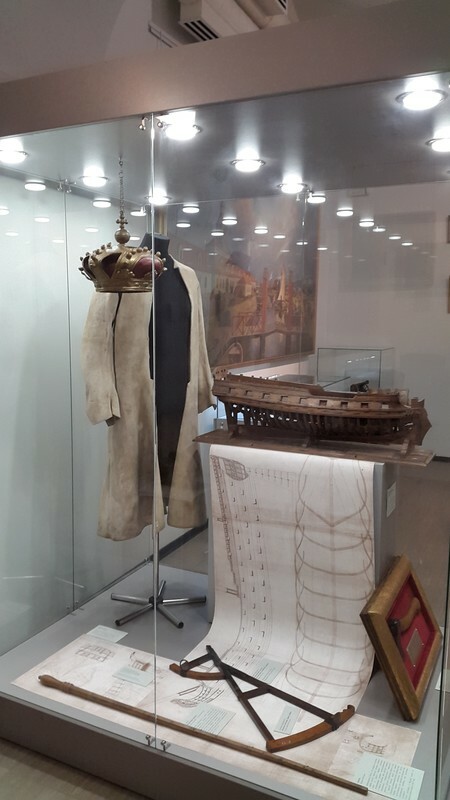 At the jubilee exhibition, the history of CNM is presented as a process of forming its Museum collections, which made CNM the national Maritime Museum of Russia, the "Treasury of the Russian fleet", the Keeper of its traditions and military glory. 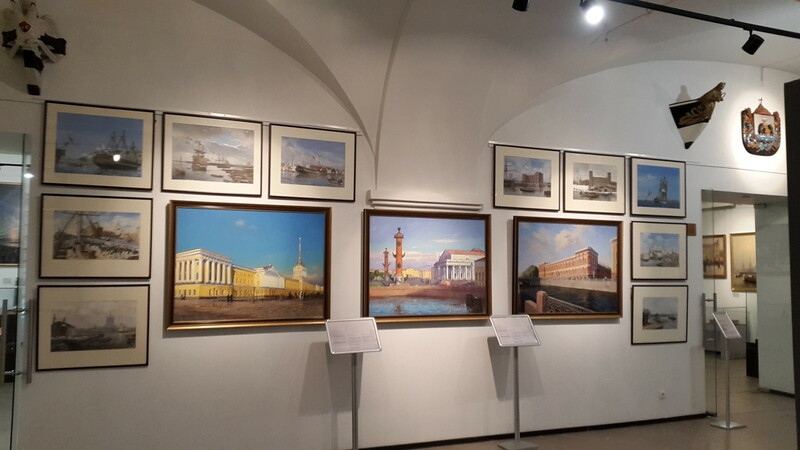 The chronological framework of the exhibition covers the history of the collection of CVMM from the first "half-models" of the era of Peter I to the last most valuable acquisitions. 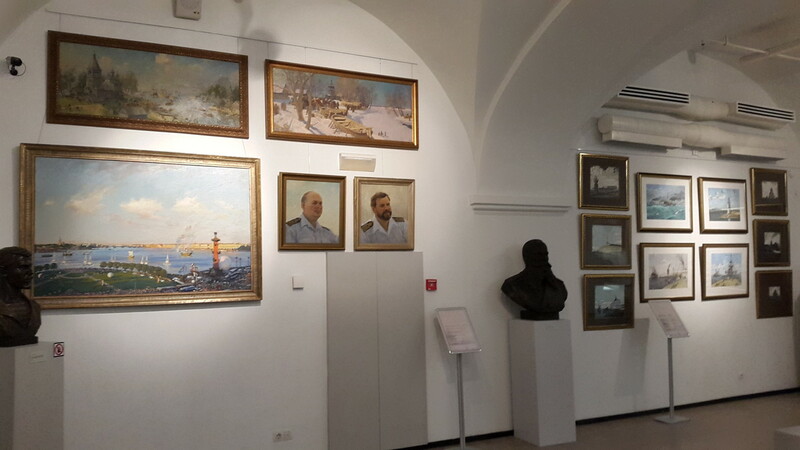 A separate section of the exhibition is devoted to the work of the employees of the Workshop of marine painters, working at the Central naval Museum since 1952. 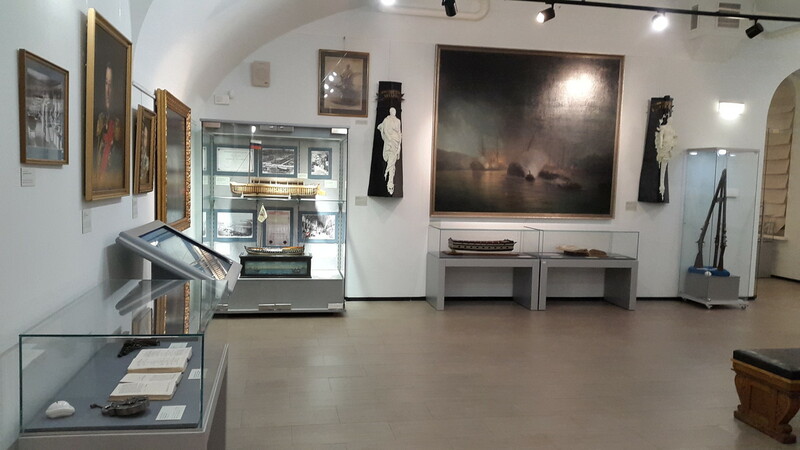 The exhibition presents copies of documents from the collection of the Russian state archive of the Navy (RGA Navy) and the Branch of the Central archive of the Ministry of defense of the Russian Federation — the Archive of the Navy in Gatchina. 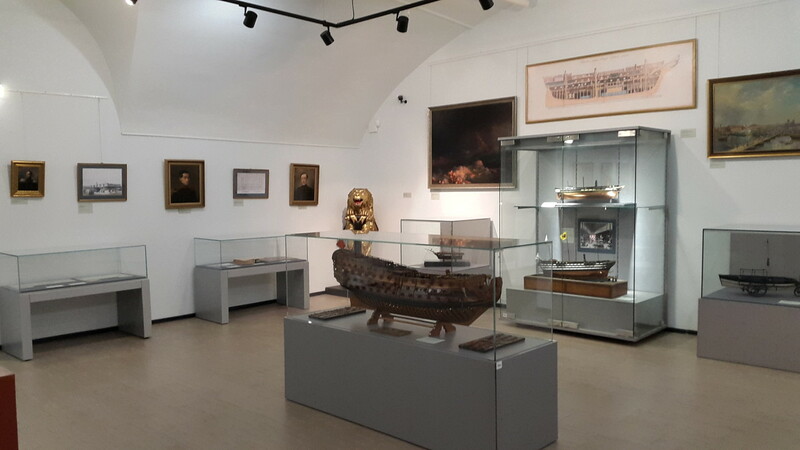 The exhibition will continue until January 2020.